Eclectic Paperie: Join a new eclectic Coterie! Join a new eclectic Coterie! COME JOIN THIS STAMPENDOUS PARTY! We are very excited about this new promotion. We are bundling the newest Bee Happy and Changito stamps by Stampendous.....BUT hurry because this offer will expire on November 12th. Just in time for holiday gift giving for special friends or treat yourself. Purchase all six(6) new stamps for $43.94(plus shipping). 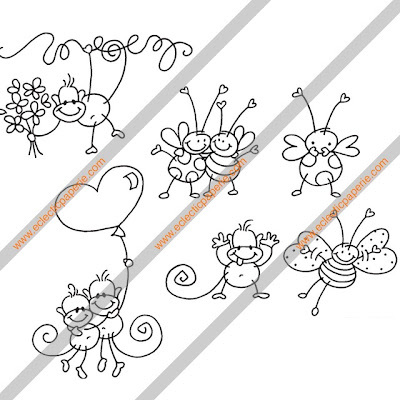 Bee Happy: Three(3) new bee stamps. Changito: Three (3) new monkey stamps. 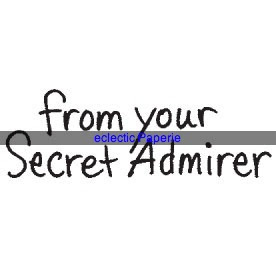 If we sell 50 bundles, everyone who purchased the Stampendous bundle will receive a free co-ordinating word stamp, Secret Admirer($5.19 value), absolutely free! 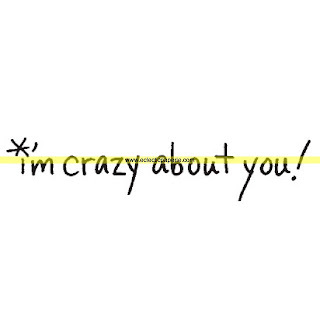 If we sell 100 bundles, everyone who purchased the Stampendous bundle will receive both Secret Admirer AND Crazy About You($5.79 value) free. That's right....the more people at our eP Coterie, the more free stuff you will get with your bundle purchase. We'll keep you posted on the eP blog as to how many more people we need to invite in order to add free stamps to your packages. So your mission is to share this offer and enable all your friends. The more people who join this coterie, the more Stampendous stamps we all add to your collection. eP will offer this bundle for this limited time only. eclectic Paperie is making this exclusive offer through our blog and weekly newsletter. This eP Stampendous bundle will not ship until the eclectic Coterie is over. Offer Expires: This offer is only good from October 31st to November 12th. Stampendous bundles will not ship until mid-November. PS. We wish you and your families a fun & safe Halloween! I had difficulty reading the email - couldn't expand the width to view in full form so I'm glad the info is up on the blog. I think the ship info read "mid November" on the email so this blog should be edited to correct from "October". I am in the UK can I order??? also when will these ship?